Here’s what’s happening in the world of television for Wednesday, January 17. All times are Eastern. Riverdale (The CW, 8 p.m.): Back from winter hiatus, everybody’s favorite mashup of soapy drama, high camp, and comic characters created back in 1941 returns to lend some tension to Wednesday nights. 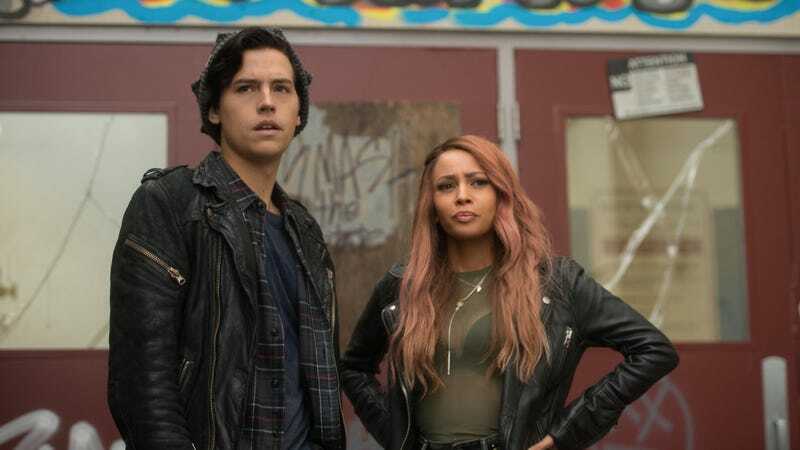 Tonight, Southside High suddenly shuts down, forcing Jughead and the rest of his fellow students to transfer to Riverdale High. Also, Betty’s on the hunt for her long-lost brother. Just to be clear: Not a single young person on this show has any pores in their skin, right? Just pure bronzed perfection? LaToya Ferguson is reviewing it, so she probably knows the answer. Schitt’s Creek: Schitt’s Creek Series Catch-up (Pop, 8 p.m.): This little series packed with comedy luminaries (including Eugene Levy and Catherine O’Hara, the former of whom co-created the show) has been quietly running strong for four seasons now. If you’ve never seen it, here’s a chance to quickly get up to speed on the oddball history of the Rose family.